Now you can rejuvenate your skin and turn back the clock with Botox® and Dermal Fillers such as Juvederm®, Restalyne®, etc. As you age, your skin loses tone, volume, and elasticity. Everyday actions such as laughing, smiling, and frowning can create deep facial creases and lines, making you appear older and tired. Now we have treatment options to minimize lines, wrinkles, and sagging skin. With Botox® and Dermal Fillers, you can take years off your face in just a short treatment session! Botox® is a nonsurgical treatment that smoothes moderate to severe worry lines, crow’s feet, and laugh lines. Made of purified protein, this FDA-approved treatment effectively reduces the activity of the muscles that cause ageing facial lines. Botox® is administered through quick and comfortable injections, and results last up to 3 - 6 months! Dermal fillers are used to plump sagging skin and smooth smile lines and nasolabial folds. After just a few comfortable, quick injections, you’ll immediately see younger, fresher looking skin. Why do so many patients in the Hyannis area choosing Dr. Uzpurvis for Botox® and Dermal Fillers? The number one question that patients ask us about skin rejuvenating treatments is “does it hurt?” We’re happy to report that Botox® and Dermal Fillers treatments are easy and painless. Dr. Uzpurvis utilizes gentle injection techniques to ensure your comfort. Fresher, younger-looking skin may be closer than you think! Our team generally completes Botox® and Dermal Fillers procedures in less than an hour. 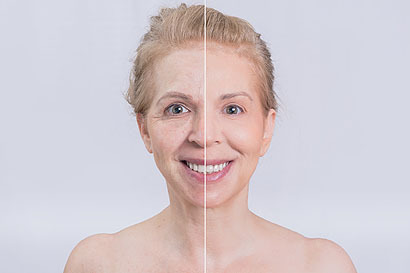 These efficient treatments can make you look years younger, and you won’t have to suffer through an extensive recovery period post-procedure. You can get the treatment you want and get on with your life—enjoying younger-looking skin right away. For a no cost consultation, please contact us to set up a visit.